I am a firm advocate for using natural medicines and Herbal Remedies when it comes to coping with CFS. Chronic fatigue syndrome is one of the more enigmatic disorders today, and the longed for one-stop-solution to cure it remains as elusive today as it was 30+ years ago. People with this illness are constantly being attacked with multiple infections at any one time, so it is important that they find ways to build their immune systems up, preferably with natural solutions. Characterized by conditions of extreme exhaustion lasting for a prolonged period of time, chronic fatigue syndrome also comes with several other symptoms such as muscle and joint pains, tenderness of the lymph nodes, recurring sore throat, impaired short memory, and severe headache. The underlying causes of this debilitating disease are not yet known. Researchers have theorized that CFS might be caused by viral infections. 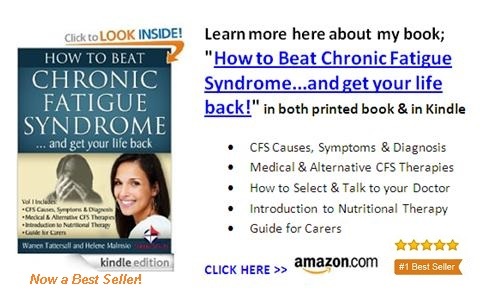 This is supported by the fact that CFS and symptoms of flu are quite similar. It is also generally accepted that toxins in the environment, antibiotics, flu virus, among other triggers, can bring on short term CFS. Treatments and medications for CFS are mostly aimed at relieving the various symptoms that accompany an initial CFS attack. Doctors can use a combination of non-drug therapies and medications to treat the symptoms of CFS. Many doctors nowadays also advocate the use of natural and herbal remedies to treat CFS. An herbal regimen for chronic fatigue syndrome may include tonics to help boost the immune system, increase the body's energy level, improve digestive efficiency and restore strength to the muscles. Foods that help the body increase its absorption of minerals are also recommended. And any natural products that help the digestive system to detox, cleanse and regenerate is ideal, as eating good food is no help to you if you are unable to extract and absorb that nutrition. There are deep immune tonics that strengthen the body's supply of bone marrow and replenish the immune reserves. Adrenal tonics and adaptogens can also help boost the adrenal glands to enhance the body's energy level and fight off stress. Antiviral herbs can be used to combat opportunistic viral infections, especially when combined with immune and adrenal strengthening herbs. Herbs can also be used to relax the nervous system and improve sleep. I like using Tang Kuai for this. 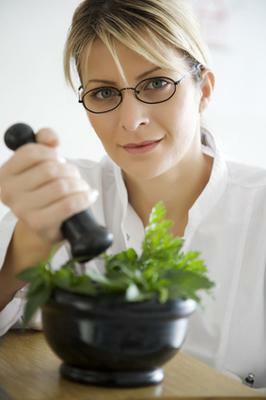 Some herbs have been used for ages to soothe frazzled nerves and combat stress. I find that Tang Kuai with Xtra Cal works to calm me when I need it. • Dang Gui – This herb is a small, aromatic, fern-leafed plant native to China and related to the parsley family is best known for its blood strengthening properties. It revitalizes the blood and is also known to boost the health of the uterus and other female generative organs. Dan Gui is used to treat anemia, irregular menstruation, and for treating the symptoms of PMS and menopause. Dang Gui (also known as Tang Kuai) can be taken in various forms: tincture, capsule, tablet, powder and bulk herb. • Gentian – This is a bitter tonic that acts as a digestive stimulant. It is usually taken 15-30 minutes before meals and is typically combined with other herbs. Studies have reveled that gentian has immune-strengthening properties. It is usually given to patients to help in the absorption and assimilation of nutrients, enhancement of energy levels and improvement of immune function. • Ligustrum – This herb can be used as a deep immune tonic to strengthen the immune system and fight off the harmful effects of overwork and stress. It is also used to nourish the liver and the adrenal glands and as a treatment for nausea, low back pain and palpitations. Ligustrum is even used in cancer treatments because of its potency. • Siberian Ginseng – This herb has immune-regulating and adaptogenic properties. This makes Siberian ginseng a good treatment for fatigue, exhaustion, immune deficiency and other stress-related disorders. As an adaptogen, Siberian ginseng helps patients adapt to stress. This herb is also helpful in treating chronic inflammatory conditions. Taking Siberian ginseng also helps increase energy levels. I welcome your comments, stories and suggestions on how you cope with CFS, so if you have tips you would like to share please click the COMMENTS link below and submit your story to be featured here on this page - Thanks! !